HIT! 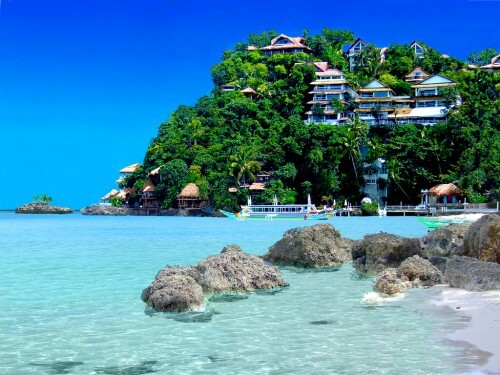 Cheap flights to Philippines: Manila for €329! Also Thailand, Malaysia, Indonesia, Sri Lanka or India! Oman Air is back with its great prices to Asia! You can now book cheap flights to Philippines on route Prague – Manila – Vienna for only €329 / 8490 CZK! Regular tickets cost around €600 so this is a pretty decent deal. You can use this deal to fly also to Bangkok, Kuala Lumpur, Kathmandu, Goa, Colombo or Jakarta for similar price, just change the destination! Travel dates are from March to November 2019 which is great time to visit Philippines. Getting between Prague and Vienna is easy with Flixbus buses or trains (around 4 hours). There are 2 stopovers in Frankfurt and longer one in Muscat. You can use it to visit Muscat, visa is available for small fee online. BOOK NOW to get this great price (use Google Translator or Chrome to translate to English). Manila is very cheap destination with simplest hostels starting at few Euros per night. Compare all booking sites at once with our accommodation search engine and don’t waste your money. Check also our other promo codes: Vueling promo code, Kiwi.com promo code or AIR ITALY promo code. « Crazy cheap last minute flights to Egypt for only €15!